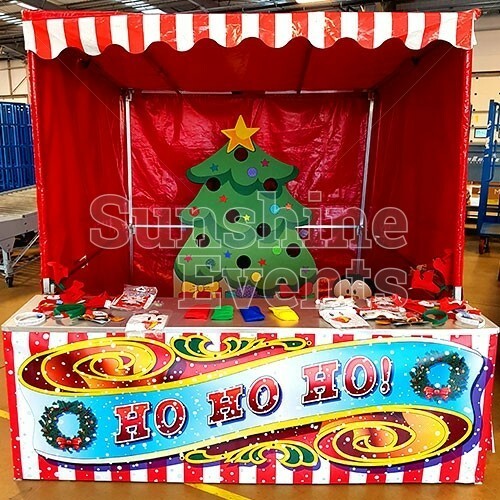 Adding a Christmas twist to our ever popular Side Stalls has seen the perfect ready made package become available for your upcoming Christmas event. 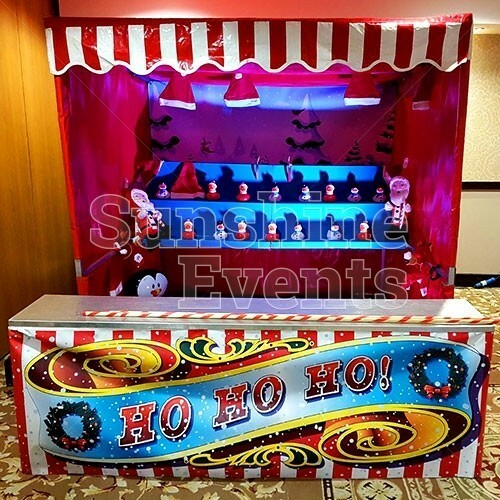 The Christmas Funfair Party Package offers all the fun of the fair at your Christmas party as we add a sprinkle of festive cheer to some of our favourite, classic carnival games along with two of our personal favourite items. 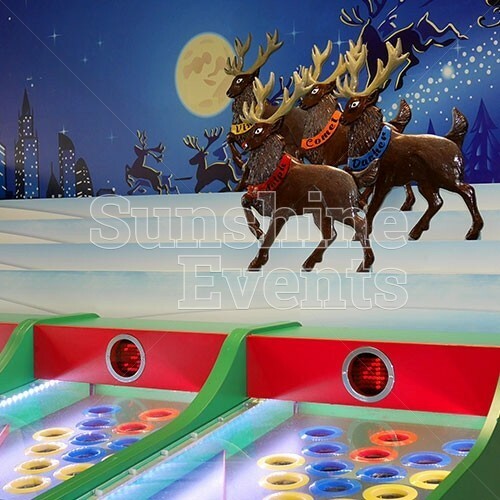 Roll-A-Ball Reindeer Racing - the original pier classic, Donkey Derby, receives a makeover as Rudolph, Comet, Dasher and Vixen dash for the finish line. 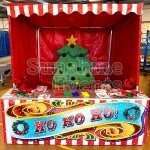 Christmas Hook A Duck Stall - the rules are the same as you try and hook the ducks with your Candy Cane. 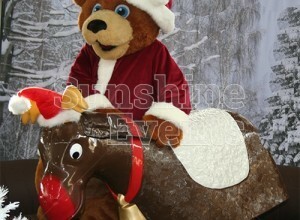 You've never seen anything as cute as a rubber duck in a Christmas Hat! 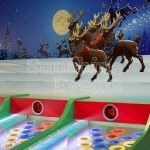 Christmas Funfair Target Stall - take aim at the festive backboard with the high-powered crossbows. 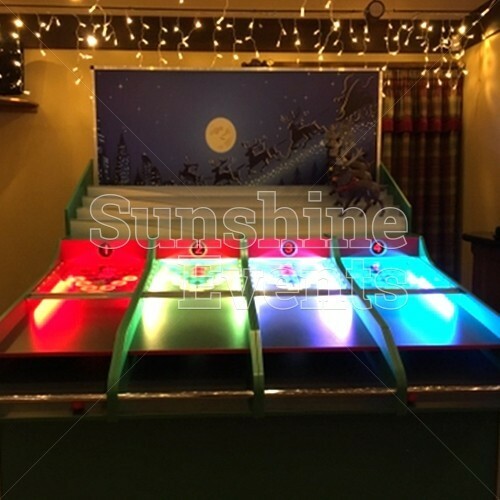 Christmas Target Tree Stall - you need skill and a great aim as you try and launch your Christmas puddings in to our Christmas Target Tree. 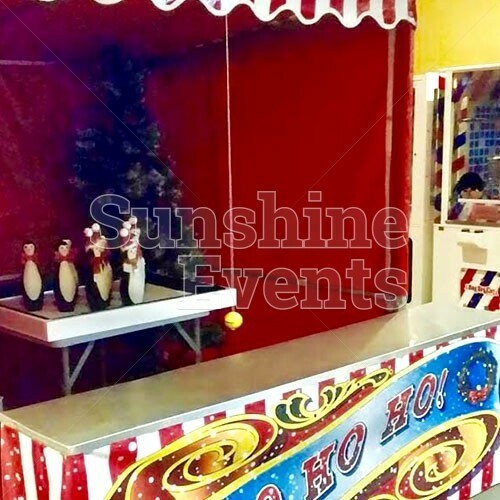 Christmas Hoopla Stall - one of the most popular side stalls receives a frosty makeover as you try and hoop one of those pesky penguins. 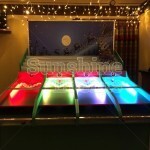 Test of Strength - a favourite at any fair, guests compete to hit 100 by striking the target with our festive mallets. 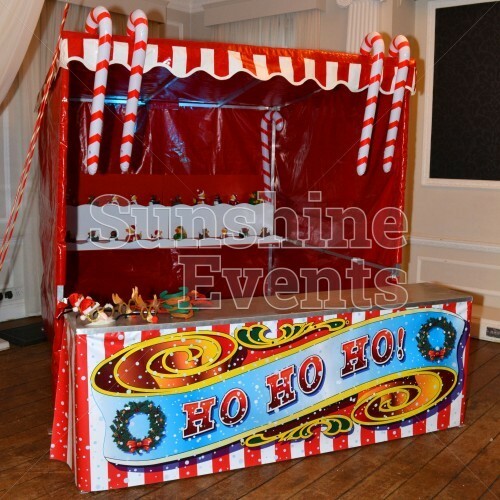 Set within our striking red stalls and striped roofs, and featuring a festive themed front, the Side Stalls are an instant eye catching and crowd pleasing addition to any Christmas event. 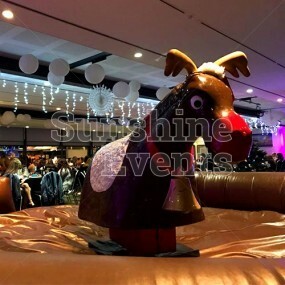 Along with the Roll a Ball and Test of Strength, this package is ideal to entertain your guests as they face the challenges set down by our team of Fun Experts, who if you like can remain with you throughout your celebrations and bring more excitement and entertainment to the event. 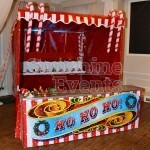 What Events is the Christmas Funfair Package suitable for? 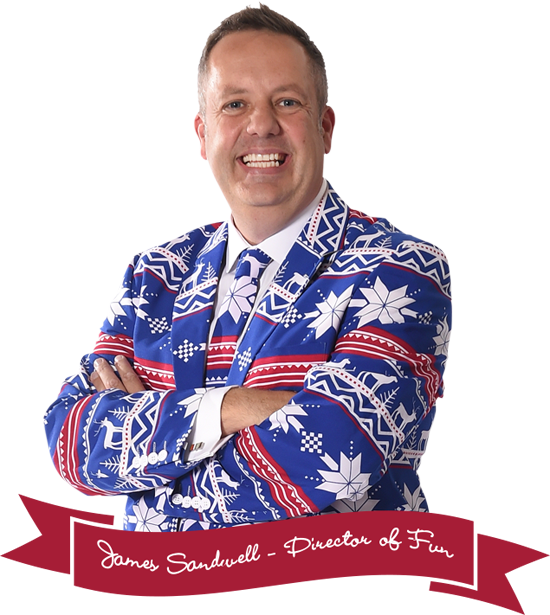 Speak to one our Fun Experts who will happily guide you through your Christmas event and share with you the passion and expertise for this wonderful time of year. 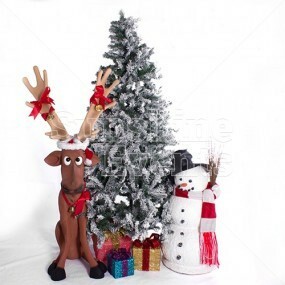 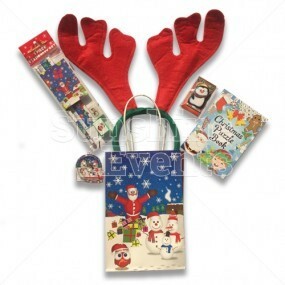 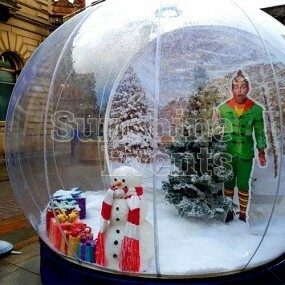 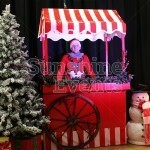 Each Side Stall comes with 50 Christmas themed novelty prizes - 200 in total! 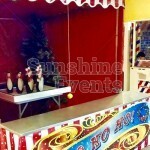 Up to 5 Fun Experts - you can staff some of the Side Stalls yourself if you wanted! 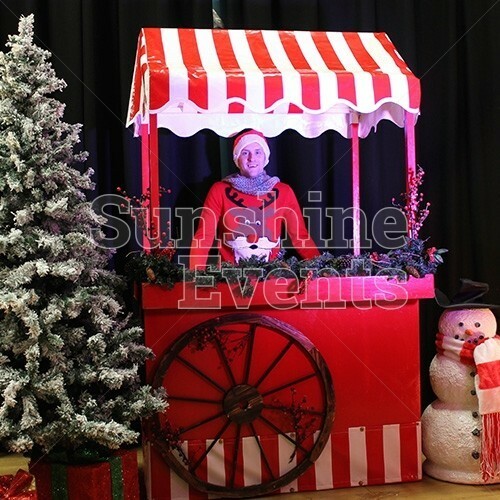 Winter Wonderland Meet and Greet Area - make Christmas that extra bit special for your guests this year by inviting Santa and providing him a beautiful winter setting to listen to your guests wishes this Christmas. 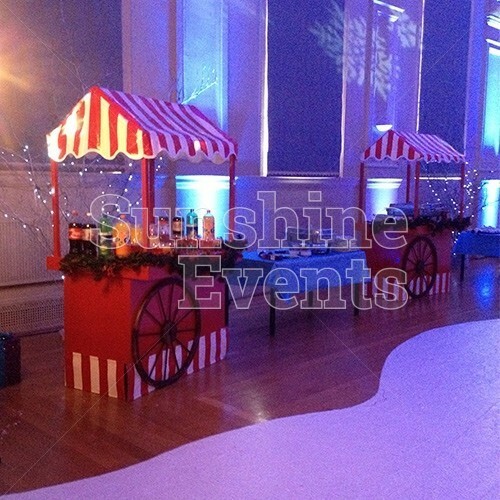 Both these and more are availble to hire for your Christmas event and make for fantastic upgrades to this already fun filled hire package. 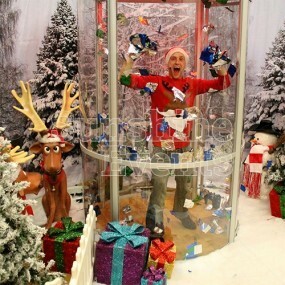 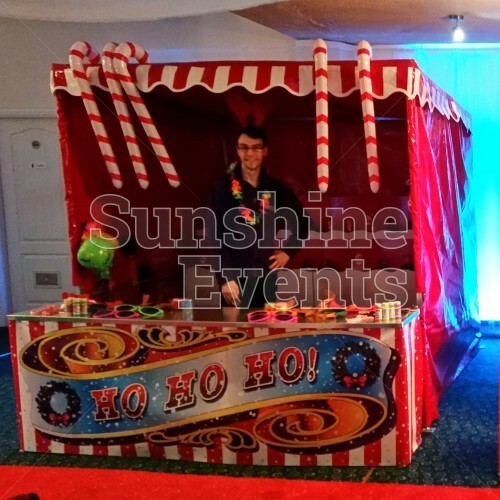 The Christmas theming and props were PERFECT to add the finishing touches to our Christmas event. 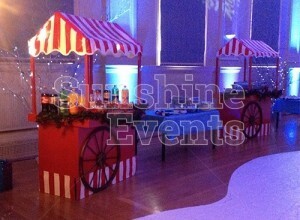 Brilliant service! 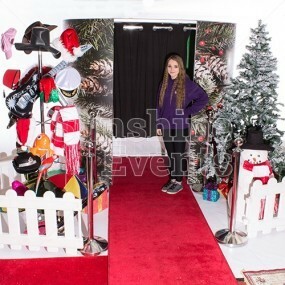 Thank you for making our Christmas Party the best we've ever had! 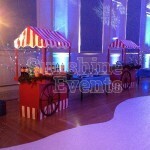 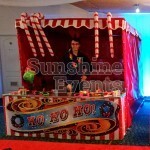 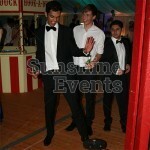 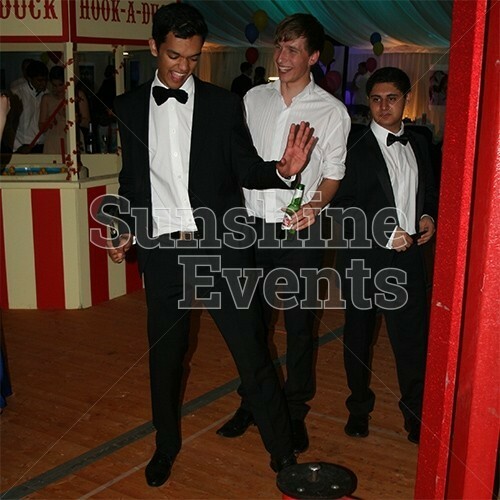 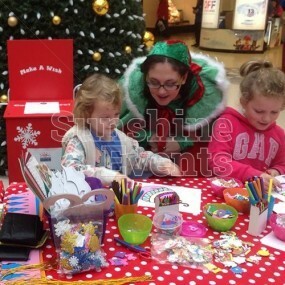 Christmas Funfair Party Package has been added to your Event Quote.